Hellooo my lovelies! 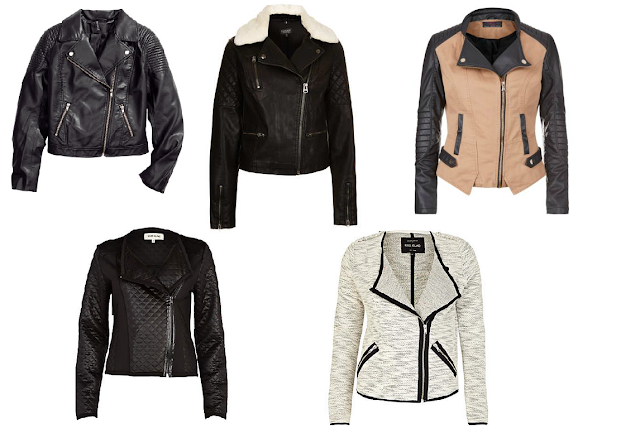 Today I’ll share with you my clothing essentials for college and upcoming trends for autumn/winter 2013. Next week I will be starting my second year in college so I‘ve some experience and knowledge on what outfit I wore the most. In no means you have to wear any of this is just my point of view and my opinion. Also each college/school/sixth form will have it's own dress code, i'm lucky as we don't really have one. I know first week of college I really made an effort with my make-up, hair and outfit! Come second week I was tired, sleepy and in no mood to get up extra early to get ready… typical me. I choose sleep over looking really good, which was fine with me. My outfit were comfy but still looked put together. Firstly, black leggings they will be your new best friend. They look great with almost anything, I wore mine with t-shirts, blouses, blazers and jumpers…Boots or converse or even dolly shoes. They are comfy and it is a simple, go to outfit. 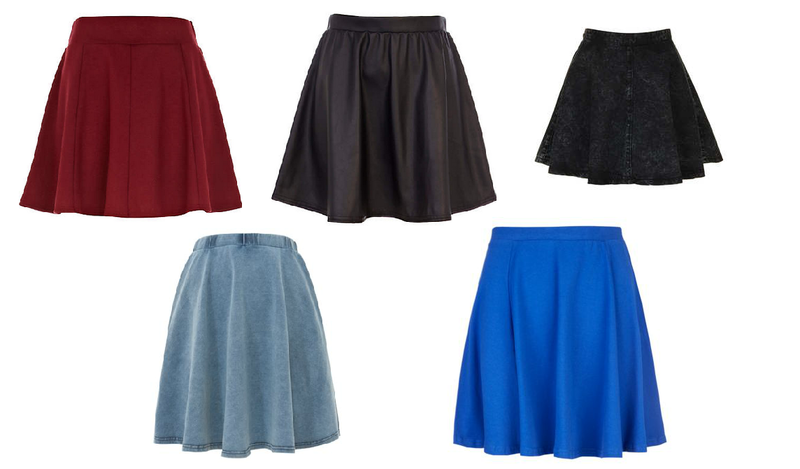 Skater skirts look great with tights in the colder days but you can also wear those bare legs with socks in the warmer days in September (however I’m not sure how many of them in UK are left!) I wore my skater skirts with boots, converse and flats as they look good with pretty much anything. As for tops I wore t-shirts, blouses and jumpers with them all tuck in. Jumpers, as previously mentioned I wore jumpers a lot to college, with blouse underneath so the collar was showing or just plain vest. 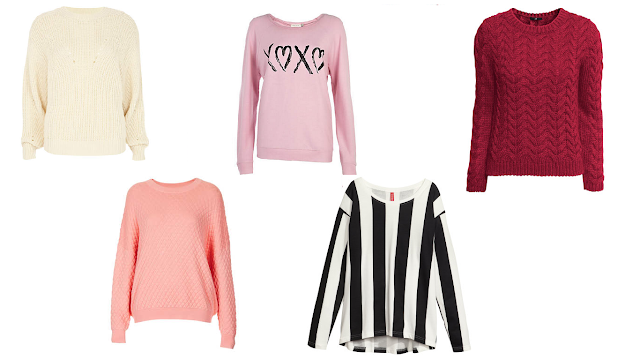 Jumpers are comfy and effortless. As I said before they look good with almost anything (jeans, leggings and skirts) Also you can wear them over dresses as an extra layer to keep you warm! Coat or jacket, during colder days that’s not only going to keep you warm but also be a massive part of your outfit as that’s one of the only things you will be able to see! I wore my leather jacket loads as I found it went with a lot of things. 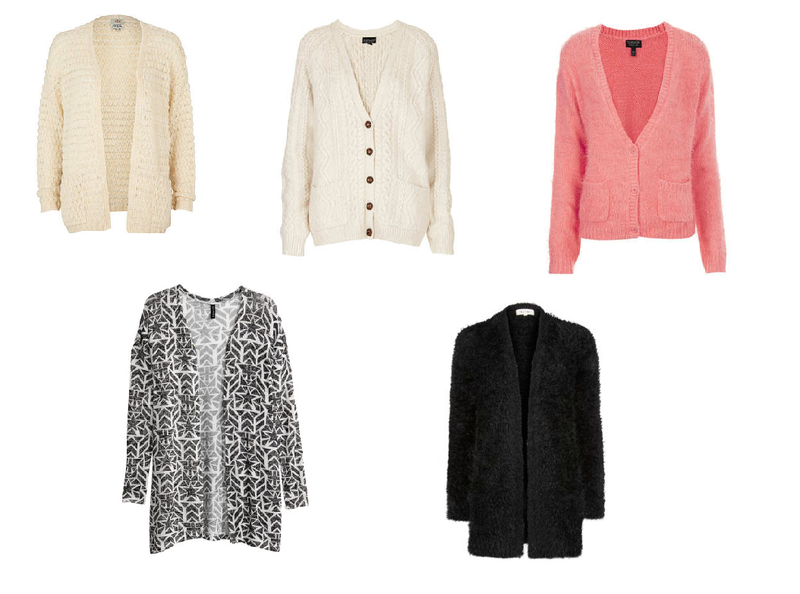 Cardigans are great as you can wear them on their own when it’s warm enough or under a coat as an extra layer to keep you warm. They also finish of the outfit nicely, or they can nicely change up the outfit by adding different accessories such as necklace or scarf! 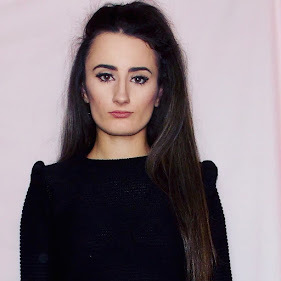 Last year I started a series 'What I wore to college' Just simple outfit I wore to college throughout the year! Hope you enjoyed this post! Look out for more back to college/school series! Skater skirts and jumpers! They go with pretty much anything!